Founded in 1898 as „Guss- und Armaturwerk“, ACO Guss GmbH has a long history and tradition based upon competence and expertise in iron founding. The foundry in Kaiserslautern was taken over by the ACO Group in 1997 and the past two decades have seen substantial investments at the site. 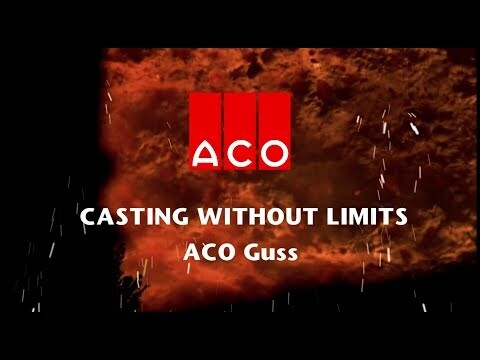 With a production of 75,000 tonnes of liquid iron per annum, ACO Guss is a technically-advanced and sustainable company that ranks among the leading iron foundries in Europe. This achievement can above all be ascribed to our motivated and experienced specialists, whose personal commitment and enthusiasm have been critical for the development of a successful and sustainable operation. The ACO Guss Group has various production and sales companies with their own stocks throughout Europe and in South Africa. They ensure competent local customer support as well as availability and quick delivery of our products in every region.